Jessie Elaban, who began training at the WWE Performance Center back in June, made her NXT debut at Thursday’s NXT Live Event in St. Petersburg, Florida. As seen below, Elaban introduced herself to the fans in attendance as Jessie and hosted a talk show segment called “The Jessie Show.” Her guest on the segment was Demetrius Bronson. The segment ended up being interrupted by Kona Reeves and Chinese recruit Gu Guangming, who is using the name Ming and acting as Reeve’s bodyguard. Elaban, who is 28 years old, was offered a contract by WWE after participating in a tryout at the Performance Center last fall. She has no prior wrestling experience. 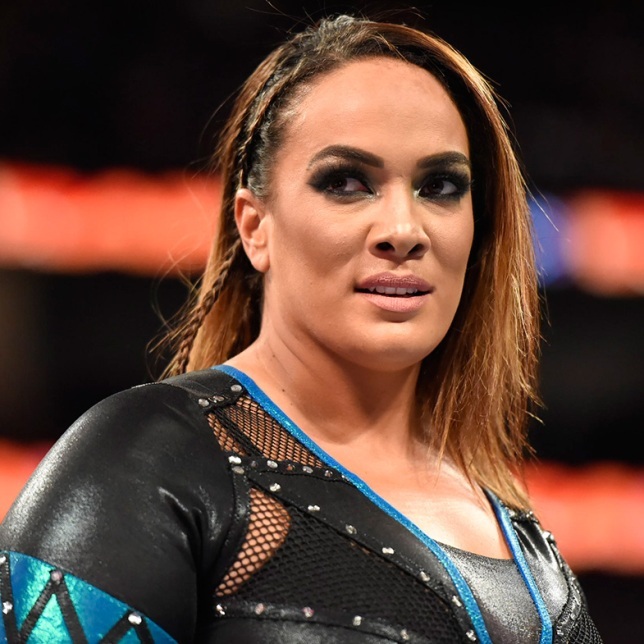 - While appearing on Talk Is Jericho, Nia Jax talked about the first time she decided to go into Vince McMahon’s office and revealed that Vince sees her as the ‘Andre the Giant’ of the females.